It's one of those weeks where everyone drops trailers at once. Layers of Fear 2, Heaven's Vault, Far Cry: New Dawn, Yakuza Kiwami's PC port, and more—plus Pillars of Eternity II gets a turn-based mode, and Farming Simulator goes all-in on...esports? This is gaming news for January 21 to 25. What, you're not playing the Resident Evil 2 remake or the Anthem demo this weekend? Prefer something free instead? Well then Amplitude has your back, as it's made two 4X games free-to-try for the weekend, Endless Space 2 and Endless Legend. There's also the more action-packed Dungeon of the Endless. All three are available through Sunday. If you'd like a bit more permanence in your life, might I point you toward the Humble Caffeine Bundle? Every once in a while Humble knocks it out of the park, and this is one of those occasions. Headlander, This War of Mine, Pillars of the Earth, Dear Esther, Tyranny, and Shadow Tactics: Blades of the Shogun are all included at the various tiers, which top out at a measly $12 for the full package. Shadow Tactics alone is worth that price, so this is a hell of a deal. Going back to the late 90s, there have always been complaints about the real-time-with-pause combat of games like Baldur's Gate, Planescape Torment, and (more recently) Pillars of Eternity. Detractors claim it's neither as interesting as real action, nor as precise as turn-based combat, and thus fails on both counts. Me? I think it's totally fine. In fact, I rather like it. 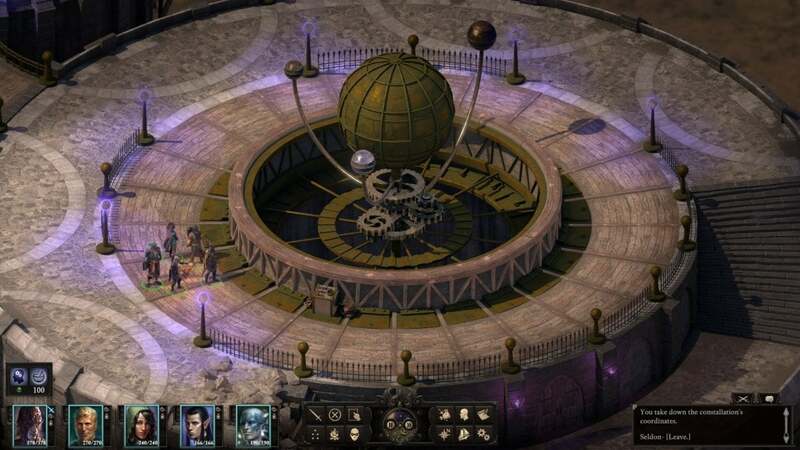 But if you just can't stand it, and if that's what's kept you from playing Pillars of Eternity, then good news: Obsidian added a new turn-based mode to Pillars of Eternity II: Deadfire this week. You can check out a demo video below. The one drawback is you'll need a fresh save—no swapping between combat styles on the fly. Just two weeks ago I was at a Total War: Three Kingdoms event and jokingly asked Sega when we'd get a Yakuza Kiwami PC release date. Turns out it's much sooner than I anticipated, as Sega locked in a February 19 release this week with the below trailer. Suffice it to say, I cannot wait. I'd almost forgotten there's a second Layers of Fear on its way. We got our first real trailer for the sequel this week, which reveals it's set on a nightmare-boat, complete with Candyman actor Tony Todd narrating your imminent demise. Also due out this year is Heaven's Vault, the much-anticipated space archaeologist game from Inkle. Much-anticipated by me, at least. There's a new, voiced trailer to check out this week, featuring a glimpse of the language-translation mechanic, the timeline, a smoother-looking walk cycle than the previous builds, and more. I wrote quite a bit about Far Cry: New Dawn this week—namely that the story barely matters, which makes the game feel less at odds with itself. And yet despite my expertly crafted opinion, Ubisoft's chosen to put out a new story trailer this week to show off all the generic baddies you'll be dealing with in its post-apocalypse. On the plus side, there's a point where an enormous wild boar spears a guy. Now that's the Far Cry I'm here for. I still don't know what in the hell Atomic Heart is supposed to be, even after watching this 10-minute gameplay video from IGN. That said, I am still 100 percent on-board for...whatever it is. This is one of the weirdest, most inventive games I've seen in ages. I just hope it plays as good as it looks, and doesn't end up like another We Happy Few. Even Atomic Heart can't compete for this week's weirdest story, though. That honor belongs to Farming Simulator '19, the low-key game about running your own farm, using heavy machinery, and—wait, how much money? Apparently developer Giants Software launched the Farming Simulator Championship last year, a tournament backed by a €100,000 prize. And somehow I completely missed it. This week Giants Software doubled down, forming the Farming Simulator League and pledging a whopping €250,000 in prizes for this upcoming second season, with 10 tournaments across Europe. Again, competitive farming. There's even a quote here that says "Competitive farming is something people have enjoyed for years now." I didn't even know this niche existed, and I am so damn excited that it does. And if you're curious about what this looks like? Well, I dug up the video from last year's Farming Simulator Championship. Please set aside two hours this weekend and get really into competitive farming. This story, "This week in games: Pillars of Eternity II gets a turn-based mode, Farming Simulator bets big on esports" was originally published by PCWorld.